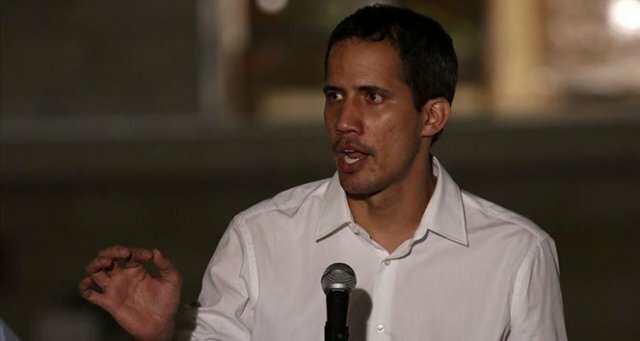 Venezuela’s Constituent Assembly stripped opposition leader Juan Guaido of his parliamentary immunity Tuesday, paving the way for his prosecution and possible arrest. The assembly convened to discuss a request by Maikel Moreno, president of the Supreme Tribunal of Justice (TSJ), to strip Guaido of his immunity from prosecution. It was unanimously approved by all lawmakers. Guaido, the leader of Venezuela’s National Assembly, was charged with violating a travel ban imposed on him for visiting Colombia. He traveled there a day before an attempt was made to bring U.S.-provided “humanitarian aid” into Venezuela on Feb. 23. He later visited Brazil, Paraguay, Argentina and Ecuador before returning to Venezuela on March 4, having no difficulty in re-entering the country.